Hailing from the misty mountains of Asheville, NC, Marley Carroll has been making steady waves as a singular artist exceptionally gifted in the dark arts of composition, production and turntablism. Recently the acclaimed producer released two double-sided singles “Starlings / Seven Crows,” and “Shiver/Fireflies,” the first lead singles supporting the release of his third full-length LP, Flight Patterns. Dripping with cutting-edge production, Carroll’s upcoming LP is rife with driving wooden drums, deep basses, field recordings and plaintive analog synths. Carroll’s ever-adapting style has come a long way since his earlier glitchy days. Marley expands his sonic palette to include meticulously crafted hints of downtempo, UK bass and slow-motion house, elevating his rhythm-forward electronica to sublime new levels reminiscent of Boards of Canada, Caribou, Tycho, and Four Tet. Shiver’s chopped vocals and iridescent synth pulses bear the impression of Lusine’s most inspired moments. “Fireflies” is a dubby number with deep bass, light acid squelches, steady hi-hats, whimsical keyboard flourishes, and funky bells. One can almost see an expansive dusk lighting up with activity. The singles capture two shades of Marley’s work, a downtempo pensive mood and a midtempo groove. 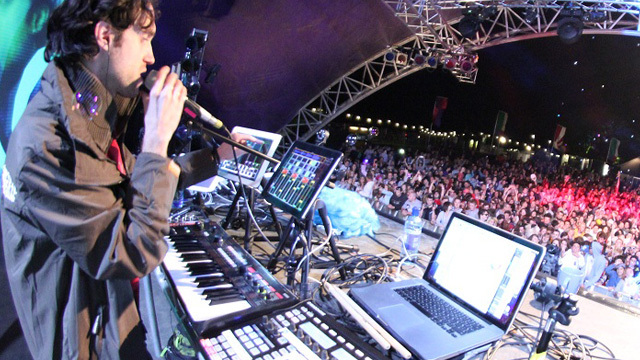 Win Tickets to See Beardyman at Output in Brooklyn!